“It’s taken us a minute to get here, but we’ve done a lot as you can see,” says Constantine Katsaros, in what might be the understatement of the year. We’re seated in the dining room of Landmark, which for many years was home to the Diner on Clifton. That eatery closed its doors two years ago in advance of a comprehensive building renovation project that saw the entire space gutted and rebuilt. 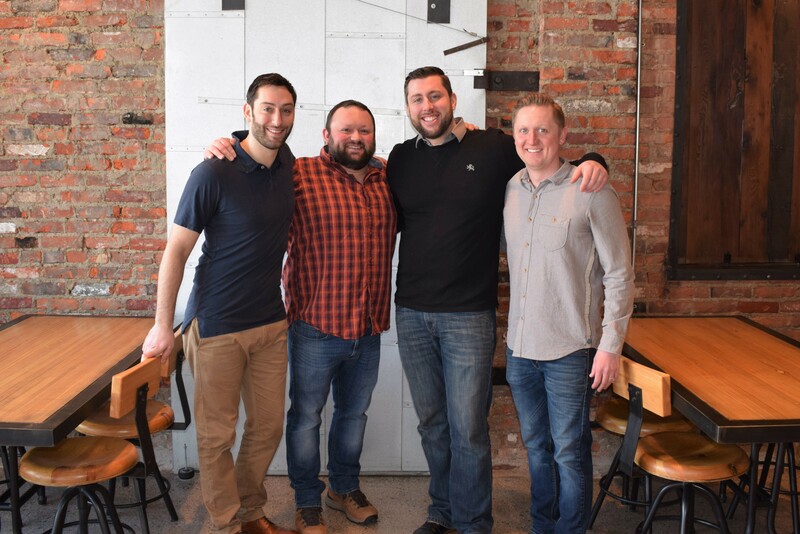 Katsaros and partner Jack Messer also operate the adjacent Twist Social Club and the team gained some valuable lessons during recent improvements at that space. “After experiencing with Twist what it’s like working with an older building, we decided that we were going to do this only once and at an excellent level,” Messer says. Few signs remain in this sun-soaked corner property of the prior tenant. In addition to all new plumbing, electric and HVAC, not to mention bathrooms up and down, the space grew by nearly 100 percent. 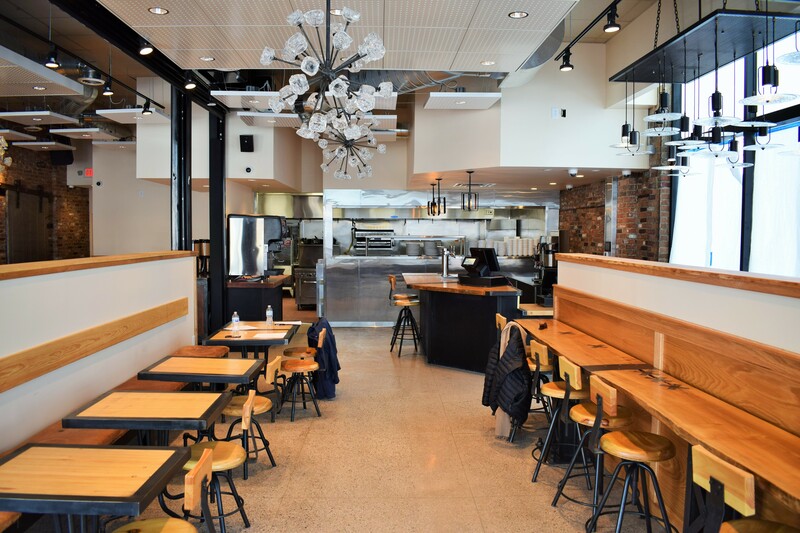 The owners appropriated some space from Twist to greatly enlarge the restaurant’s footprint – and then set about outfitting it with custom-built tables, banquettes and counter seating to produce an attractive and flexible 55-seat eatery. While unearthing the original terrazzo floors, the owners discovered a logotype for Tastyburger Systems, a local chain of burger joints that thrived during the '40s, '50s and '60s. When it opens in mid-April, Landmark will blur the lines between fast-casual and what is often called fine-casual dining. 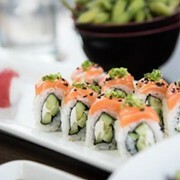 Fine-casual spots typically combine high quality food and environment with quick-serve ordering and service. It’s a formula that Katsaros and Messer, two business school grads who argue that running a restaurant is more science than art, have spent years devising. Guests will walk in, peruse a paper menu, place their order and pay at the counter. Beverages like craft draft beer, wine and even cocktails after 4 p.m. will be handed over along with an order number that fits neatly into a tabletop caddy. Staffers will deliver food and bus tables after diners depart. Executive chef Thomas Parker, most recently at Adega, will run a scratch kitchen that serves breakfast, lunch and dinner seven days a week, while featuring exceptional local products like Cleveland Kraut and Fluffy Duck Bakery breads. The menu offers a broad but deliberate selection of foods that were chosen after two-plus years of debate and analysis. Initially, Katsaros and Messer intended to make Landmark a barbecue restaurant. Over the years, the pair graduated from a backyard Weber Smokey Mountain on up to a championship-level Jambo offset pit. In fact, the very first barbecue they sold was on the sidewalk in front of this building during an arts festival. While the owners deviated from their original plans, they still decided to install one of the best commercial smokers in the business. The Model 700 from J&R weighs two tons, burns only wood and can cook 1,000 pounds of product per load. Exiting from that pit will be items like house cured and smoked bacon, smoked turkey breast, whole pork shoulders, beef shanks and real Texas-style beef brisket. 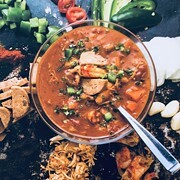 Those items will appear in dishes like a breakfast burrito with eggs and brisket, a Club sandwich with turkey and bacon, pulled pork tacos, and osso bucco made from smoked and braised shanks. But the item that will have everybody drooling is the Montreal-style smoked meat, a pastrami-like product that is made by curing and smoking beef brisket. 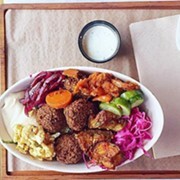 The balance of the menu includes items such as avocado toast, breakfast sandwiches on bagels, chicken and rice bowls, Cobb salads, smoked vegan burgers and Reubens made with Montreal beef and Cleveland Kraut. For dinner there are fried chicken platters, smoked meat samplers, and pan-seared Norwegian salmon. Very soon, a commanding three-sided blade sign emblazoned with the word Landmark will welcome drivers at the corner of W. 117th and Clifton.